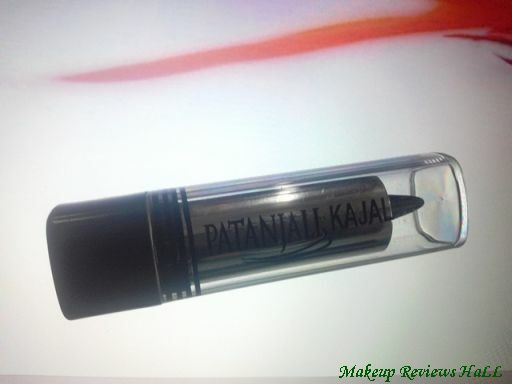 Patanjali Herbal Kajal - No Smudge No Smear is one such kajal I have been waiting since long to try because I'm very much impressed by most of the Patanjali Products specially its herbal Kesh Kanti Shampoo and body cleaners. Moreover all it's products be it shampoo, cleanser are so cheap that everyone can easily afford them and so is the case with this Eye Kajal. I have tried lots of eye kajal, check Best Kajal in India but was super excited to try this from Divya Patanjali which is easily available online these days and here I'm here to share my experience if this herbal kohl with you. 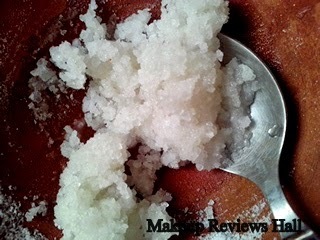 This is made up of natural ingredients and it does not produce any side effects. You can do eye makeup by using Patanjali kajal. It makes your eyes bigger and does not produce any side effects. The ingredients of this natural kajal are made up from herbs. 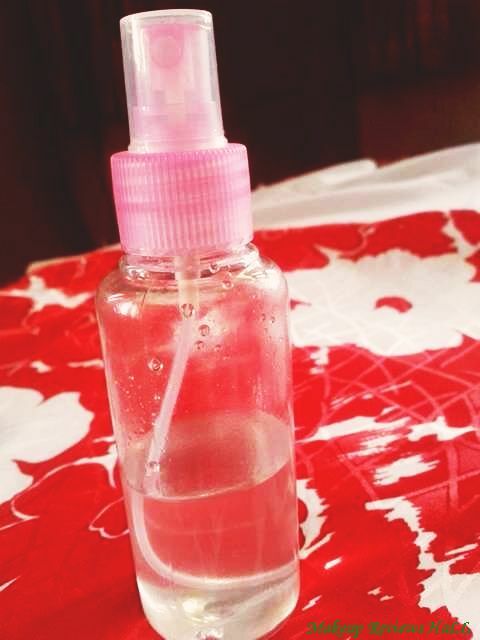 This gives a proper shape to your eyes and it also nourishes your eyes with lubricants. Its special combination of precious herbs, vegetable oils & waxes helps to maintaining & improving vision. Compostion: Each 3g contains (extract of) » Rasaut (Berberis aristata) 0.3 mg » Liquorice (Glycyrrhiza glabra) 0.3 mg » Triphala (Emblica officinalis, Terminelia) Chebula, Terminelia belerica 0.3 mg each) » Almond oil (Prunus amygdalus) 60 mg » Castro oil (Richnus Communis) 900 mg Base Material: Ointment Kajal base Q.S. PRICE - Rs 90/- for 3g. 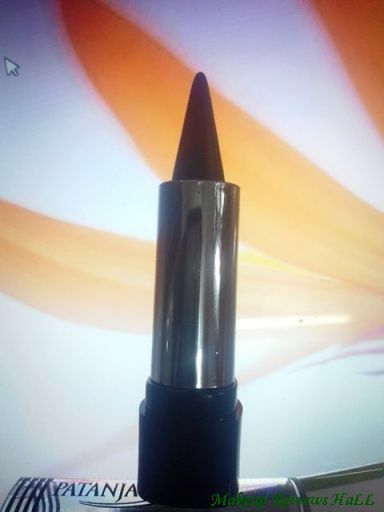 Patanjali kajal comes in a simple twister bullet packaging with not so pointed tip for application. I applied the kajal generously on my lower lash line and it was not very smooth, I had to put some effort for a nice pigmented black liner. 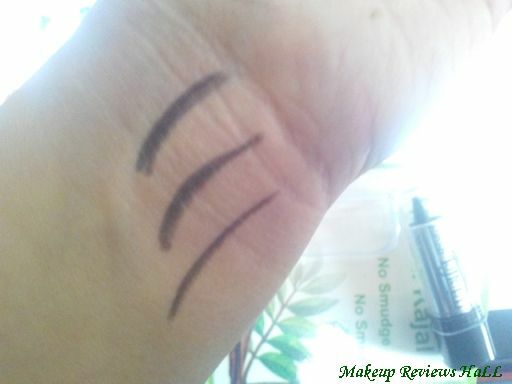 I applied thick kajal on both eyes and it looked wonderful focusing the entire attention on my eyes. I was extremely happy with this effect on using this kohl. 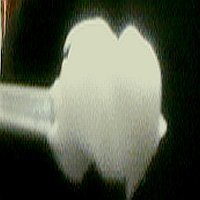 Immediately on application, I could see the kajal smudging specially on the sides. I instantly wiped the kajal with cotton for a clean look but unfortunately the kajal smudged like anything within just 30 minutes of application. So definitely this is not at all a smudge free kajal specially in my case where I could easily feel the blackness of kajal around my eye area in no time after application of this kohl. However I realized that out of huge expectation and long wait to try this kajal, I applied this kajal a lot more generously than I normally do with most of my kajals and felt this could be a reason it smudged like hell. So the next time I applied thin to medium stroke of this on my lower lash clearing off the under eye area for a perfect neat look. After this I felt little bit of blackness below my eyes in about an hour time which increased a bit more in the next few hours. But this blackness was super easy to remove with just a simple wipe. This is the best thing about this kajal that any smudge could be easily cleaned for a fresh look. Overall this is somewhere average to good kajal which definitely gives a nice cooling sensation to eyes on application being herbal but also smudges easily which can be easily cleaned and reduced if used in a light way. It's good for daily application with just the minimum touch and definitely not for parties where you look for nice thick kajal and liner for a rich black glossy look for hours. 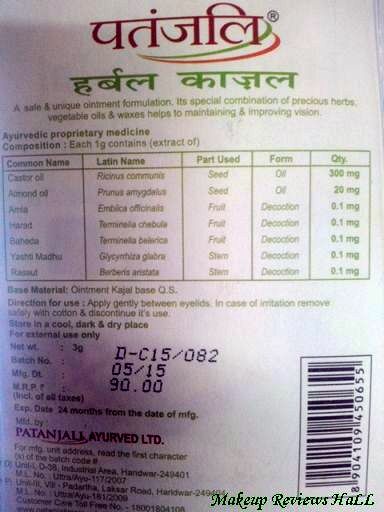 Though this herbal eye kajal is not a disappointment but I definitely expected a lot more from Patanjali. 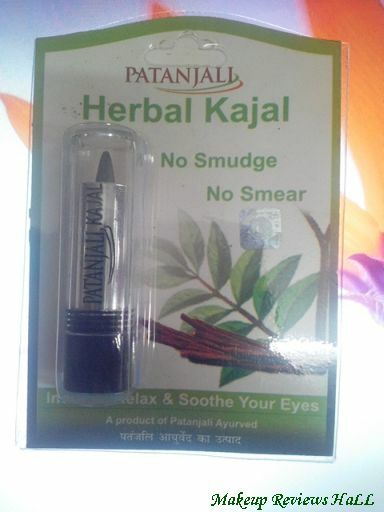 Nice herbal kajal from reliable brand Patanjali. 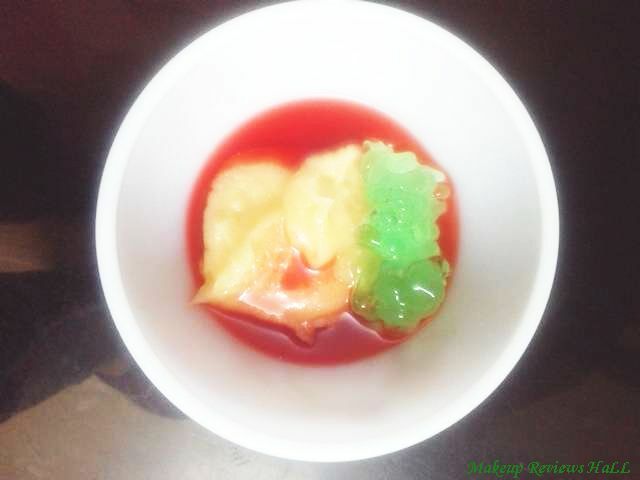 Gives cooling sensation to eyes. 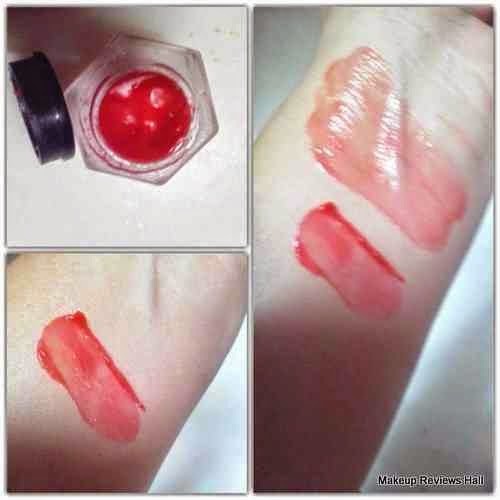 Gives nice kohl effect look on application. 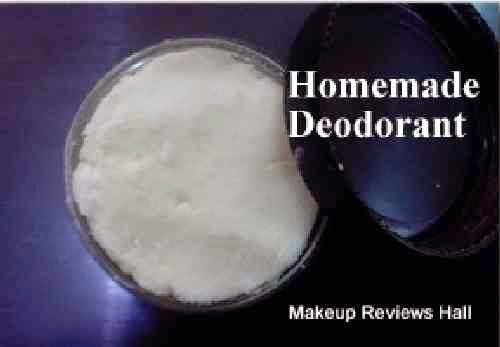 Can be easily wiped off with tissue. Cannot be used for heavy application. 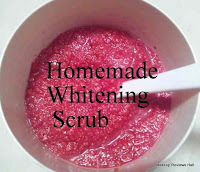 Not good for oily skin in summers. Can u plz suggest some actual smudge proof kajal ? I manage to smudge most heavy duty kajals. Best to stay away from this one. Can anyone suggest for a genuine smudge proof kajal?